STP is mandatory from July 1, 2018, for businesses with more than 20 employees. What preparation can I do in my Reckon One Book to make it ready for it, when STP is released? This solution applies to Reckon One users only. 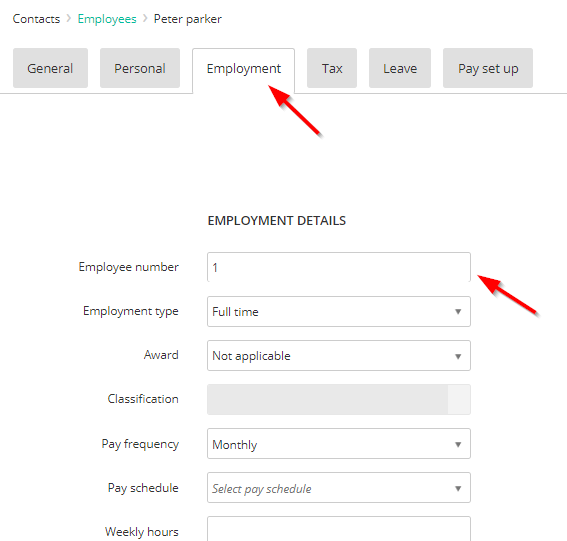 In addition to payroll information that is supplied by the existing Payroll Module, STP Reporting will extract information from certain fields in Payroll Settings, General Book settings, Legal address. If these mandatory fields are blank the STP Report will not be accepted. STP will be reported to the ATO via STP Portal (more details to come later). You will also need to adjust your Allowances payroll items to comply with new differentiation required. Below are outlined the mandatory fields for STP and where to update them. Preparation 1: Check and Complete required Company Information fields under General Book settings. 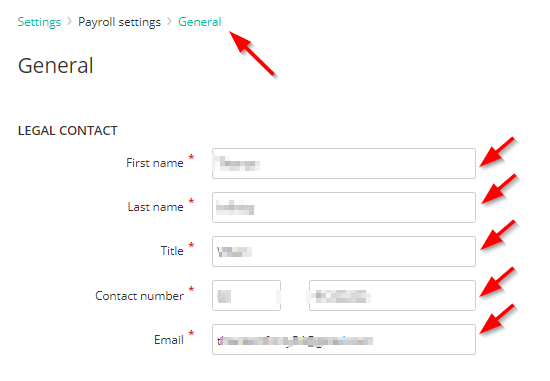 2) Go to Payroll settings and select General. 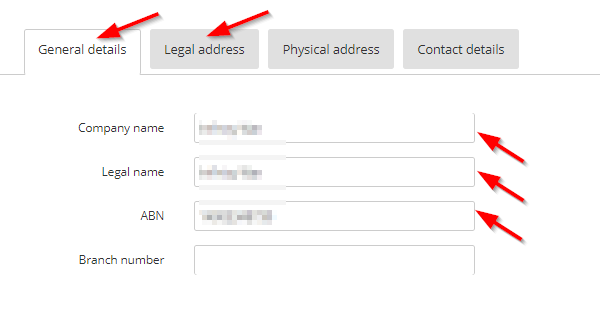 3) Check and confirm the legal contact details and Contact Number is filled out with correct details. Go to Contacts -> Employees and confirm the below fields are complete for all employees. Go to the General tab of the contact. 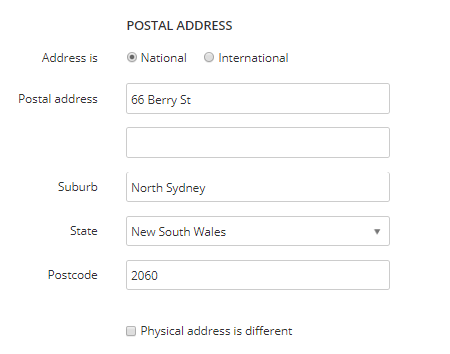 If the Physical address is different checkbox is enabled, ensure all physical address fields are filled. Go to Employment tab and enter the Employee Number you have assigned to the Employee. Go to the Tax tab, enter the Tax File Number and other relevant details. If the employee does not have tax file number, you can enter one of the below test numbers that are accepted by ATO. Preparation 4: Select the appropriate Allowances type for your Allowances Pay item. 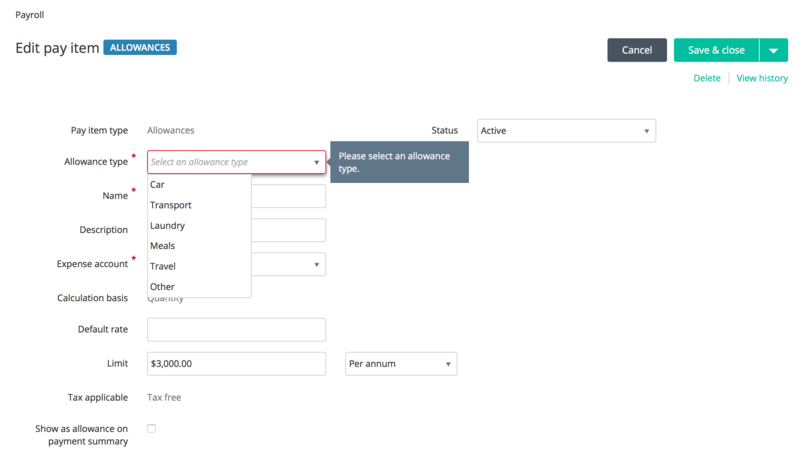 By default, existing Allowances items will have allowance type selection left blank. You will need to select the correct Allowance type from the new drop-down list. You may need to create new Allowances payroll items. Please refer to ATO guidelines in the link https://www.ato.gov.au/Business/Single-Touch-Payroll/Get-ready-for-Single-Touch-Payroll/ for more information. No related issue is available. Did this solution answer your question ? Please leave a comment, click here. Please leave a comment with a maximum of 250 characters in length. Rate how well this question was answered.